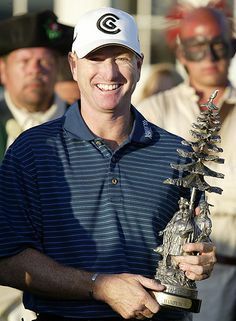 Kentucky native and University of Kentucky graduate Steve Flesch, a 2007 inductee to the Kentucky Golf Hall of Fame, boasts an accomplished professional career resume, counting four wins on the PGA Tour among his seven worldwide professional wins. However, 2016 marks two special anniversaries for Steve for victories he scored a bit closer to his Northern Kentucky Roots and more dear to our hearts here at OneBeardedGolfer.com. Earlier this spring, Flesch graciously granted us an interview to discuss the 25th anniversary of his 1991 Kentucky Open title, his first professional win, and the 30th anniversary of his 1986 Kentucky State Amateur title. 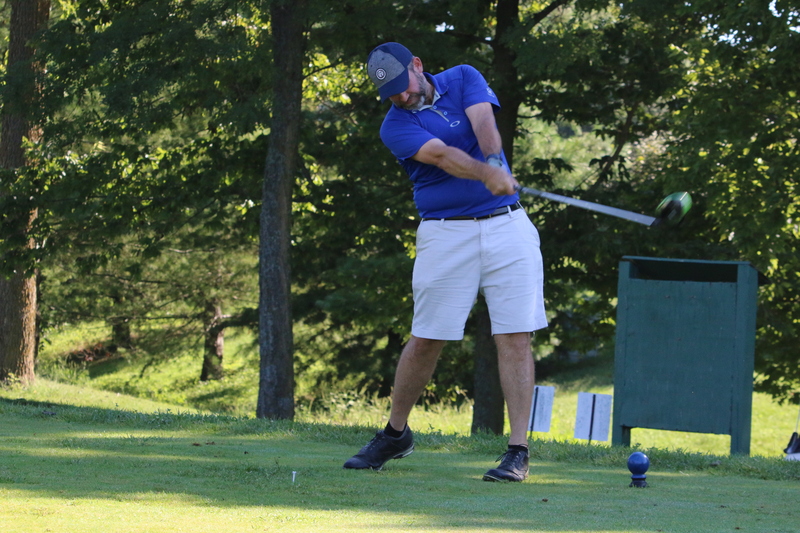 The Kentucky PGA crowned a new KY Open champion earlier this week, so in honor of Kentucky Open Week, I’ve excerpted from our interview Flesch’s comments about his young professional career and what he is currently up to in golf. Steve Flesch: No, I think I was getting ready to go to the Qualifying School that fall (of 1991) to try to get my Tour card through that avenue. And you know, I was pretty unsuccessful for 6 or 7 years trying that avenue. I think that was my first foray into trying to go thru Q-School. Winning the Kentucky Open was a big confidence boost. I think that was only four or five weeks before the first stage of the qualifying tournament, so it was a good time for me to be playing well. 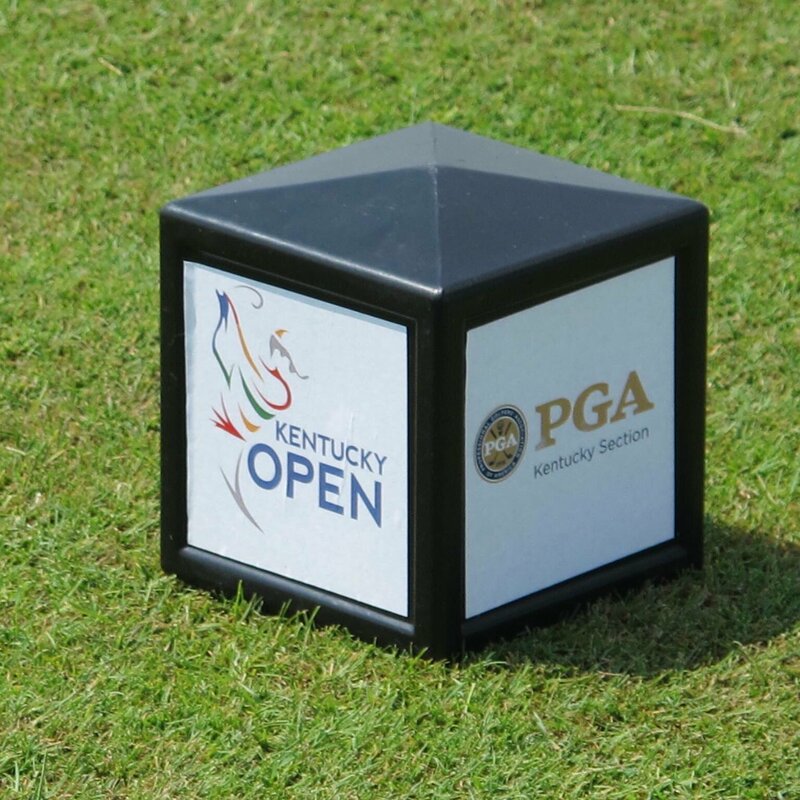 This year’s edition at the University of Louisville Golf Club marked the 97th playing of the Kentucky Open. As we all know, that qualifying tournament was a whole other animal, and when you’re first turning pro and trying to get on Tour, its more mental than anything. Most of the guys are pretty good players, but that qualifying school is such a grueling process. With four rounds in each of the first two stages and six rounds in the finals, there’s a bit of a learning curve there to get through it. Unless you’re just an absolute superstar, it’s a tough deal. (Laughs) It took me seven tries to get through there. 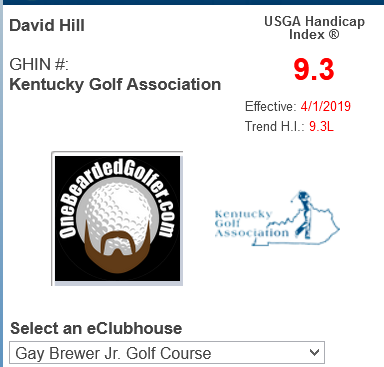 So winning the Kentucky Open was a big boost of confidence for me. 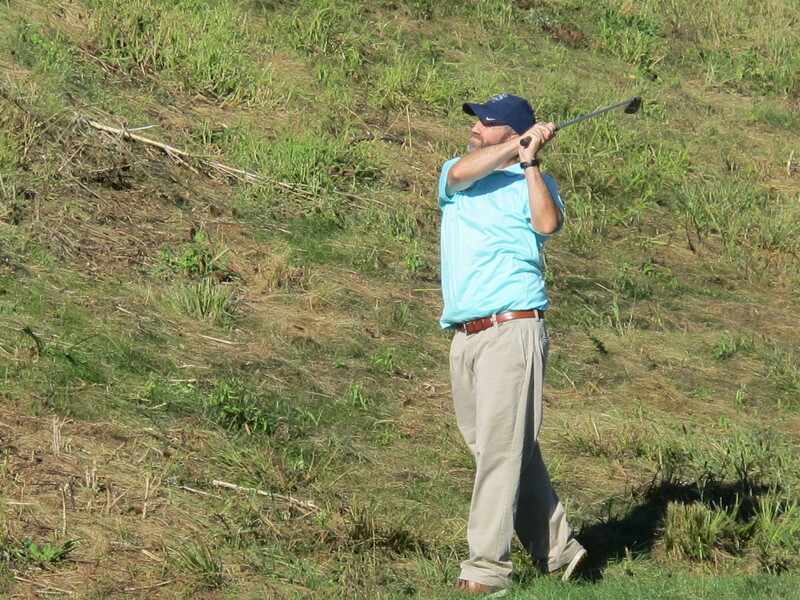 OBG: What were the fields for the Kentucky Open like back during those years? You still had some Kentucky legends active. Steve Flesch: I think that was the year that Jodie Mudd won the Players Championship, so he was already on Tour. 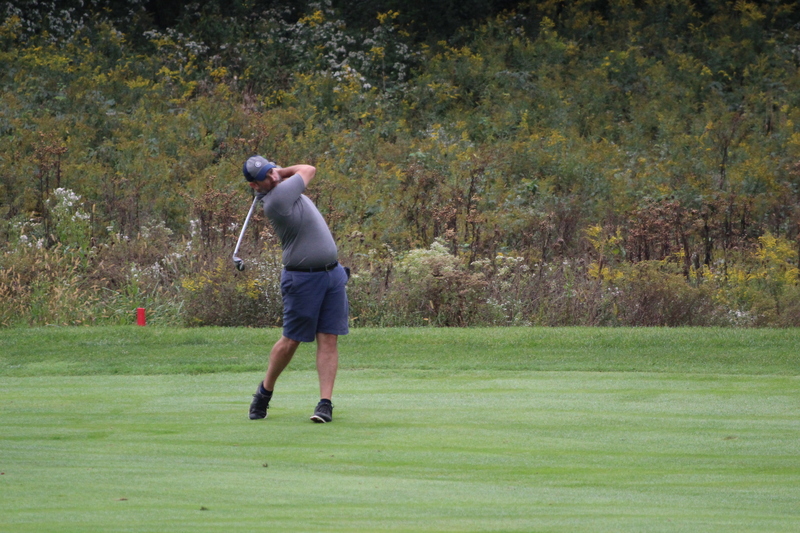 Ted Schultz might have played, Larry Gilbert was playing, a lot of good names were playing. I always liked Champions Trace, and being at UK I got to play there a lot. Tom Heilbron was the owner, and he was always nice enough to let me practice play out there as much as I wanted, so it was like my home course in Lexington. I expected to play well there, though not that well in the first round. I just liked that golf course, it fit my eye. And anytime you can make a lot of putts, as I did that first round and for the week, that was the big difference. OBG: The ’91 Kentucky Open at Champions (Trace) GC was your first professional win. What do you remember and what did you take away from that experience? Steve Flesch: What I remember is that I played really, really well down there the first day, shooting ten under, and that set the tone for the week. I knew that unless I did something crazy, I knew I was going to win that without much of a problem. I just remember how hard I worked that summer, and all that hard work paid off that week at Champions when I played lights out. But, six weeks later, I got through the first stage of Q-School, but didn’t play very well in the second stage and didn’t get through. So, Success in golf is fleeting, and I found out the hard way two months after that Kentucky Open. Steve Flesch has been a refreshing and insightful member of the Fox Sports golf broadcasts since 2015. 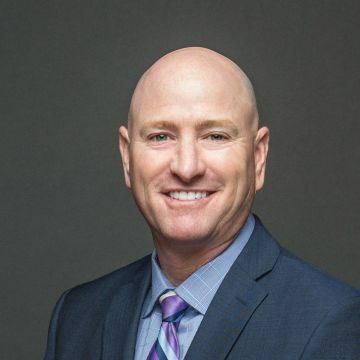 OBG: Fast forward a decade or two and you’re now a Kentucky Golf Hall of Famer who’s had a brilliant professional career on the PGA Tour, and parlayed that into television work for both The Golf Channel and Fox Sports. Do you know what your schedule will be for Fox this year? Steve Flesch: Well, we do all the U.S. Open Championships, Men’s, Women’s & Senior’s, then I’m doing the U.S. Amateur and the Mid-Amateur, so it’s all the USGA events. I know we’re all excited that Paul Azinger is now our main host. OBG: You guys were quite the gossip darlings there for a while. Glad we didn’t see your name in the middle of any of it. Steve Flesch: Right. You know, when, as a crew, you only do four or five events a season, it’s hard to, not so much get a rapport, but a fluidity to your broadcast because you don’t work week-in and week-out so much like CBS, NBC, and the Golf Channel do. Being our second year I think we’ll be a lot better this year, get to know each other’s tendencies in conversations. You know, the hardest thing is just getting a rhythm to the telecast. With the women and the amateur events, I dare say we may not know as much as the participants as we do other weeks, so you’ve got to prepare and do a lot of homework. I enjoy listening to Paul Azinger. Even if I didn’t, I’d respect him, and his opinion, for what he did with the American Ryder Cup Squad alone. 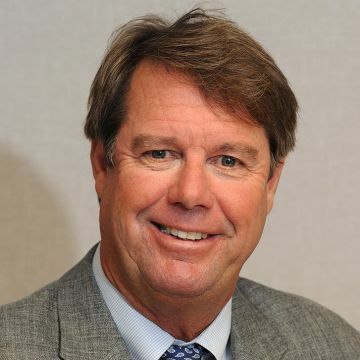 Also, we’ll all have to talk a lot less because Paul Azinger is in there. 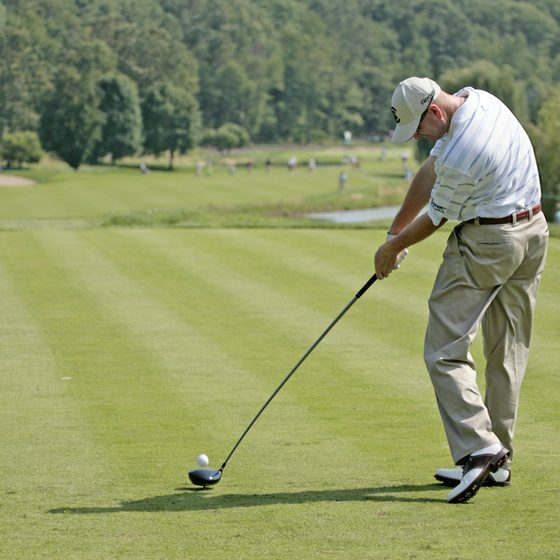 OBG: Your son Griffin is an accomplished junior amateur, playing at the high school level. Any chance we see you caddying for him as he tries to add his name to the KY Am or KY Open titles? Steve Flesch: You know, I’d love to caddie, but they don’t let you do that for kids nowadays. Yeah, they won’t let you caddie. The only time I’ve caddied for him is up here in the (Cincinnati Metro) City Men’s, where you can have anyone caddie for you. 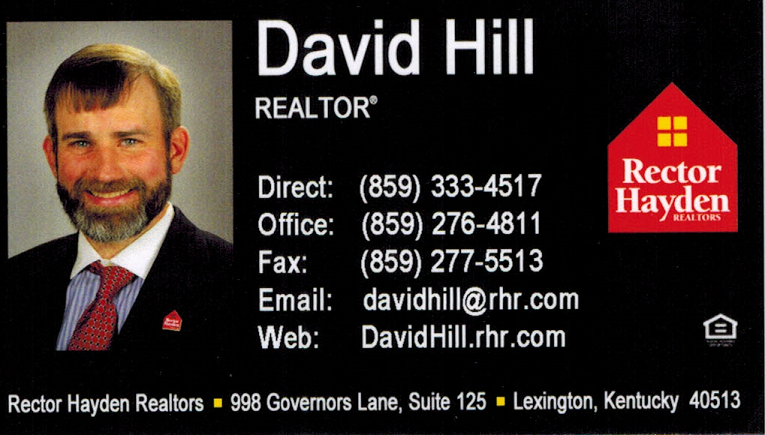 I guess I could have last year when he played the (KY) State Amateur at Big Spring C.C., but I was out-of-town. All his high school tournaments and all his Junior Tournaments he plays, parents aren’t allowed to caddie. OBG: I guess a legacy of Little League Dads across the country? Steve Flesch: Exactly. It is bad. You wouldn’t believe how some of the parents are out there. But I’d love to caddie for him. If he gets to the State Am this year, and I’m in town, then I’ll certainly caddie for him. It’s a lot of fun. I caddied for him in the State Am qualifier at Danville C.C., but couldn’t go to the State Am. But, Man, that’s stressful. I’m probably better off not caddying. OBG: If I’m correct, you’re about 18 months away from being eligible for some Champions Tour events. Do you have plans to knock the rust off and see what you have left? Steve Flesch: (Laughs) Oh, I’m going to play it, I can’t wait. Not that I’m counting down the days or anything, but it’s only 15 months until I’m fully exempt up there, and I know I’m fully exempt up there for a number of years, maybe four, five, or six years. As a Kentuckian, a UK graduate, and a fan of golf, I’m looking forward to seeing the crafty lefty back in the mix with the PGA Champions tour. I’m going to plan on playing all 25 events each year. I’m still playing and practicing quite a bit. We keep a home in Florida (in addition to Northern Kentucky), so I’m basically in prep mode right now getting ready to play that Champions Tour. I’ve been out of competition for 3 or 4 years, so I miss it, miss that competition. I don’t miss all the practice and the hard work of it, and after a round now I might want something to eat and a nap, but all these young kids want to hit the gym or work with their coaches. OBG: When you were out there full time on the Tour, did you have a team or an entourage like a lot of these guys do today? Steve Flesch: No, I didn’t, I never was into that. I didn’t want people out there bothering me. I kind of liked doing it on my own. I worked with Butch Harmon for a number of years, six years there in the mid-2000s, but it wasn’t as bad as it is now. You know, everyone didn’t have a strength coach, and a trainer, and all this stuff. I don’t want to say that it’s gotten out of hand the last few years, but everybody has ramped it up. Guys feel like they’ve got to travel with their crew. I never was into that. I like to be with myself and my family and that was enough. Of course, a big thank you to Steve Flesch for taking the time to relive a few of his early glory days with us. For perspective, Flesch won $4,500.00 for winning the 1991 Kentucky Open. Inflation adjusted, that would be like winning $7,963.81 today. So much for the glitz and glamor lifestyle of the mini-tour professional golfer. 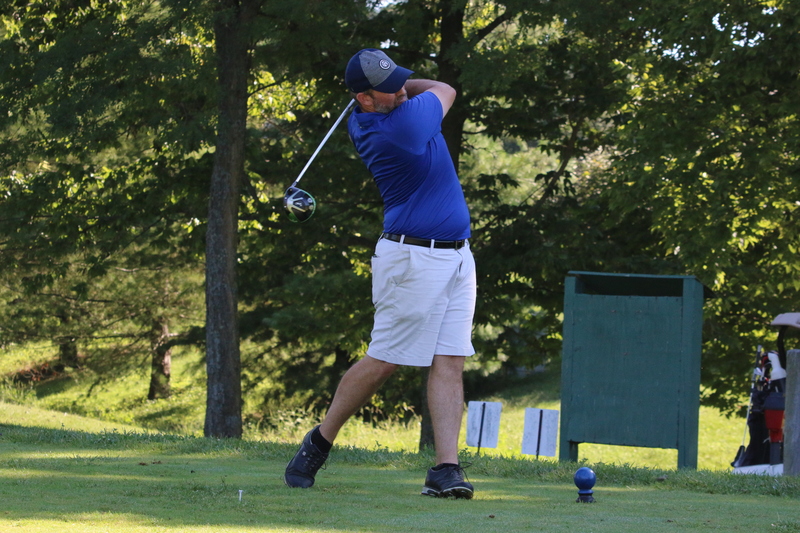 Nonetheless, Congratulations to Ashton Van Horne on his 2016 Kentucky Open win!